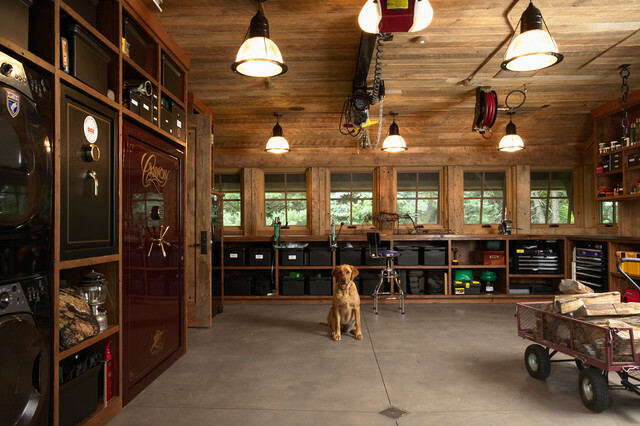 Don’t let your garage become an afterthought — this valuable space doesn’t have to be dirty, disorganized and crowded. Get inspired by these professional spaces and tips to turn your auto space into an organized and fun addition to your home. 1. Garage edition. Short on space? Convert your garage into an additional room for friends and family. Invest in insulation and electrical work, and you will have yourself a family-fun space. 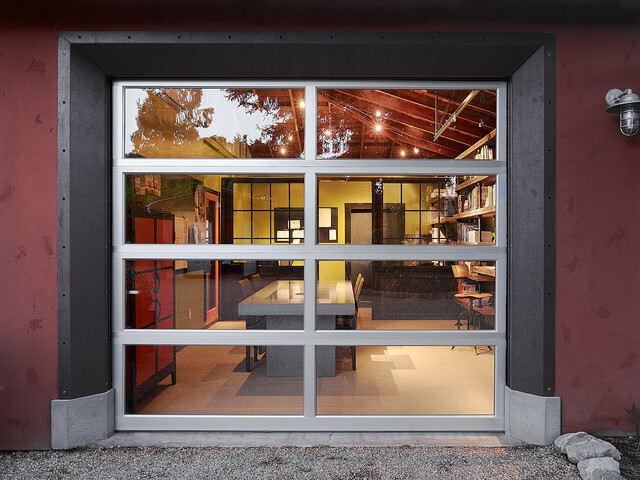 Instead of a traditional garage door that blocks light, consider a glass garage door. 2. Garagescape. 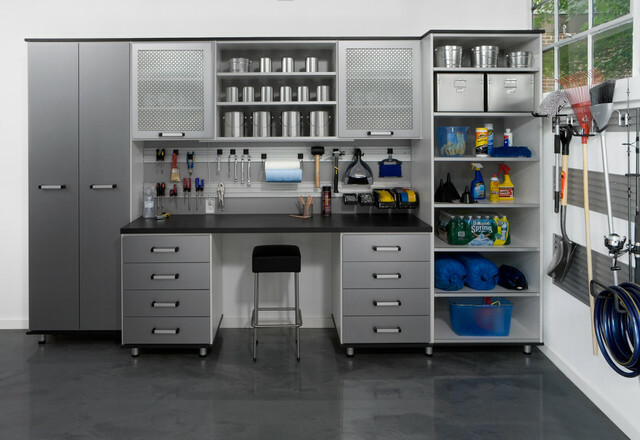 Visit your local big-box store and pick up an assortment of organizational items specifically for the garage. Install them wherever you like to organize everything to perfection. 3. At the drive-in. 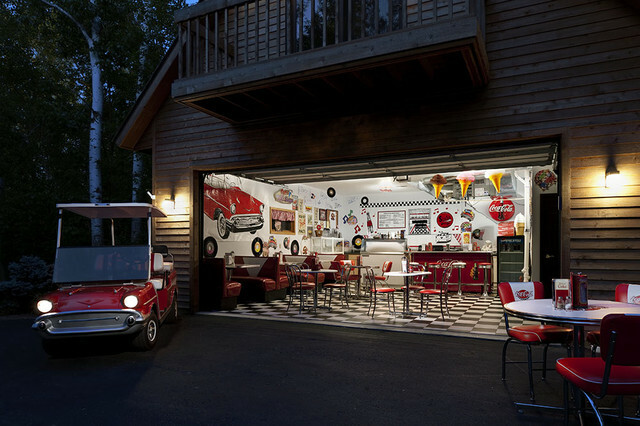 Transform your garage into your favorite theme room. This one’s a Coca-Cola fan’s dream space. 4. Floor it. 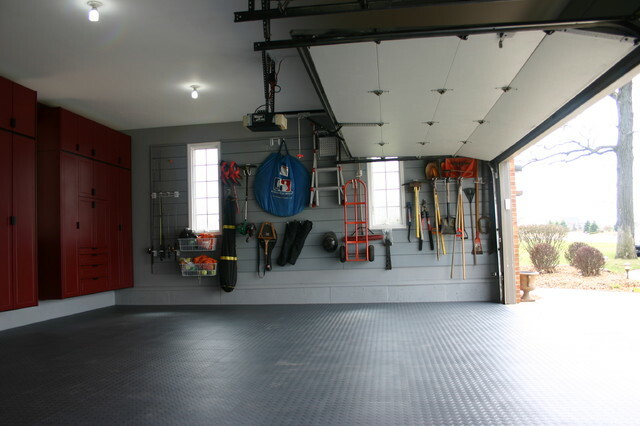 Dress up your garage with a tiled floor — it’s a great way to add cohesiveness from your home into the garage. Ooooh, so fancy! 5. Man-tastic. Give the man in your life his very own room. Whether it’s for working on projects or hanging out with the guys, the space will be all his. 6. Garageworks. Create the perfect workstation to handle all of your projects. Industrial-style cabinetry and simple countertops can be purchased at your local hardware store. It’s a great look for him or her. 7. Laundry service. No laundry room inside your house? Add plumbing to an expansive garage, install some cabinetry and never schlep your dirty clothes to the laundromat again. 8. Garagenous zone. 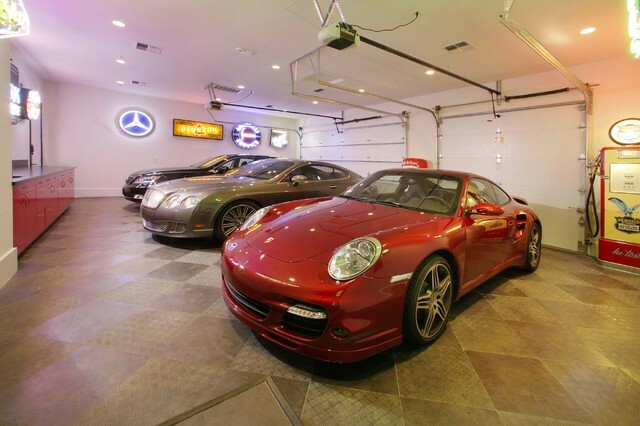 A garage that’s fully outfitted from floor to ceiling will turn anyone’s crank. Add everything: flooring, walls, ceiling, cabinetry and more. It’s not done until it’s overdone. 9. Vintage vestige. 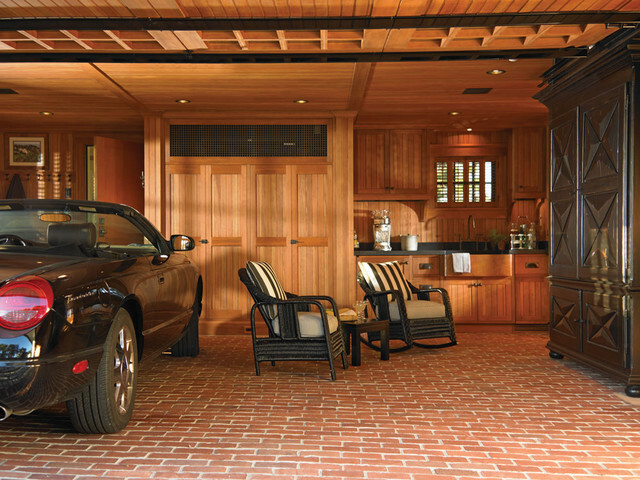 Step back in time and pick out all of your favorite period pieces to install in your garage. Open shelving, marine lighting and reclaimed wood allow this space to convey creative as well as practical. 10. A garage for 007. Install sleek wall-to-wall and floor-to-ceiling storage cabinets for all your gizmos and gadgets. Oh, James! Which design trick is your favorite? Let us know in the comments below! Could You Live in a Themed House? This entry was posted in Garage Door Fun and tagged Amarr, amarr garage doors, building products, Entrematic, exterior design, garage, garage doors, home design, home exterior, interior design, overhead doors, remodeling, sectional doors. Bookmark the permalink.